So with Day 3 all wrapped up and the notes now available, the CSM’s time in Iceland for the Winter Summit now comes to a close. For me, this day has been the one I’ve been most interested in. However, the topics I really wanted to hear more about are censored by the NDA (Non Disclosure Agreement). Some of the points covered here will create some fantastic tin-foil-hattery at least. This session opened with a presentation to CCP regarding feedback; the CSM then went on to discuss a variety of topics pertaining to lowsec. CCP has received mostly positive feedback regarding lowsec post-phoebe. Lowsec population dwindled over the summer but has since rebounded. Lowsec mining is at an all-time low, but prone to sporadic changes. CSM and CCP have been discussing lowsec mining changes privately on the forums. No details were included in the notes. During Kronos, there was an increase in NPC deaths before dropping back a little. Militia numbers are on the increase, and Factional Warfare numbers are also increasing. “Kill per logon minute” is increasing… it means more things are dying. CCP confirm that they’ve reduced the amount of combat anomalies in lowsec to reduce “clutter”. CCP are looking at the way fighters are assigned, particularly who gets the aggro in situations where fighters are assigned. CCP Fozzie stated they are looking at overall fighter usage. At this stage there are no plans to make missions have an effect on a Faction Warfare warzone, as they are too farmable and need reworked. CCP assured the CSM that items gathered from hacking sites are not “junk” and will be useful at some point. This session was designed to primarily discuss feedback regarding current module changes but there are some very interesting points about future development. CCP agreed that Tengus are too strong at the moment and are penciled-in for a rebalance in the next few months. A desire for a more customizable T3 was mentioned. CCP wish to remove “lock-in” from rigs on T3 cruisers. EHP Subsystems are to be toned down. CCP believes medium rails are also too powerful. CCP is considering a delayed drone reload system (a drone nerf). CCP has no concrete plans for supercapitals, but would like to avoid deleting them and refunding SP. CCP has put serious consideration into removing “fleet warp”, but nothing had been decided. Localisation generally refers to language translation for clients. Last year’s largest project was the release of Eve in French. A French podcast is being worked on. No plans for further language translation, however the team are focusing on consolidating their existing work. CCP is working on a bilingual functionality which allows ingame links posted in one language to be translated to the client language for the recipient user. 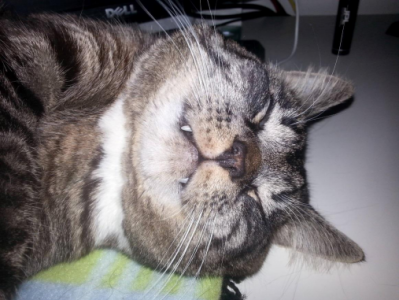 Sadly a lot of this session was restricted by the NDA (Non Disclosure Agreement) and CCP chose to include a picture of this cat in its stead. Only two real points could be extracted from this section. CCP presented some designs for structure changes, nothing specific listed. CCP’s desire to make the new structures integrate better with gameplay. Another NDA restricted section here; CCP took the opportunity to advertise some pubs they like. Again, CCP is happy with feedback from post-Phoebe changes, this time in regards to nullsec. There is clearly a new work-in-progress sovereignty design but we’re not allowed to know anything about it yet. This section briefly discussed some tangible items you may be able to get your sweaty space mittens on, in addition to the team’s desire to make you really want the merchandise. I’d have recommended a “Can I Bring a Drake?” T-Shirt however my suspicion is that it will be pretty space pictures. “Art of New Eden” book to go on sale in March. The Eve TV series is progressing but nothing new can be announced. 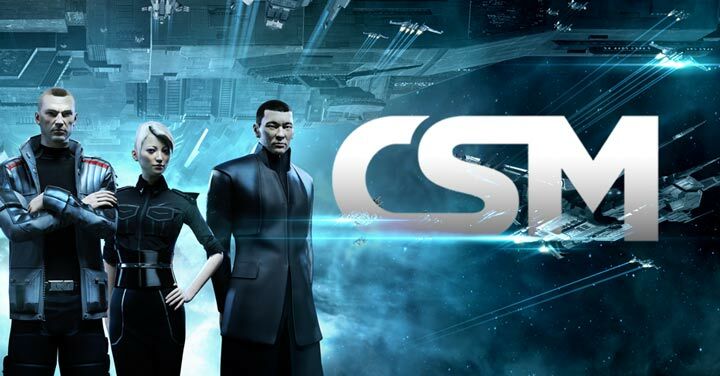 CCP say it is too early to confirm any specifics about the TV series. So there we have it folks, all nicely wrapped up . On behalf of myself and EN24, I’d like to thank CCP once again for making these notes available so quickly. Wow, awesome weblog structure! How lengthy have you ever been blogging for? you make running a blog look easy. The total glance of your web site is excellent, as neatly as the content! I like the helpful information you provide in your articles. I will bookmark your blog and check again here regularly. I’m quite sure I’ll learn lots of new stuff right here! Best of luck for the next! Whats Going down i’m new to this, I stumbled upon this I’ve discovered It absolutely helpful and it has aided me out loads. I’m hoping to contribute & aid other customers like its aided me. Great job. Usually I do not learn post on blogs, however I would like to say that this write-up very compelled me to take a look at and do it! Your writing style has been surprised me. Thank you, quite great article. I’m still learning from you, while I’m trying to reach my goals. I certainly liked reading everything that is written on your site.Keep the information coming. I loved it! Hi there, I discovered your site by the use of Google even as searching for a comparable topic, your site came up, it seems good. I have bookmarked it in my google bookmarks. wonderful submit, very informative. I wonder why the other experts of this sector do not notice this. You must continue your writing. I am confident, you have a huge readers’ base already! Thank you so much for giving everyone an extraordinarily breathtaking possiblity to read in detail from here. It is often so great plus stuffed with a good time for me and my office peers to visit your blog a minimum of thrice in 7 days to find out the newest issues you have. And indeed, we’re at all times amazed considering the stunning advice served by you. Selected 1 points on this page are indeed the most effective I have ever had. It¡¦s actually a great and helpful piece of info. I¡¦m happy that you simply shared this useful info with us. Please keep us up to date like this. Thanks for sharing. My partner and I are developing a Joomla website for a certain project. We are using separate computer and separate hosts (localhosts). My partner has made changes to the graphical design and database structure so I have copied the directories (folders) to my computer. In doing such, I have encountered this error message “Database Error: Unable to connect to the database:Could not connect to MySQL”. Please help. Thanks :)). Hello.This post was really interesting, especially because I was browsing for thoughts on this issue last Tuesday. My wife and i got really thrilled when Raymond managed to complete his investigations by way of the precious recommendations he had when using the web site. It is now and again perplexing to just continually be offering helpful hints which usually some people may have been selling. So we realize we have the blog owner to be grateful to because of that. These explanations you’ve made, the easy web site menu, the friendships you can make it easier to engender – it’s everything unbelievable, and it is helping our son and us understand the concept is exciting, which is exceptionally fundamental. Many thanks for everything! It’s the best time to make some plans for the future and it’s time to be happy. I have read this post and if I could I want to suggest you some interesting things or tips. Maybe you could write next articles referring to this article. I desire to read more things about it! Thank you a bunch for sharing this with all people you really recognize what you’re speaking approximately! Bookmarked. Kindly additionally visit my website =). We may have a link alternate agreement between us! Leave a Reply to legal Click here to cancel reply.